Press Release – On February 8, around 10:30 am, APD officers responded to a business in the 2300 block of Broadway Ave in reference to a stolen vehicle. Officers contacted the business owner, who reported one of the company’s vehicles was stolen on the night of February 5, and its disappearance was discovered this morning. Shortly after taking the report, officers received information that the vehicle was currently at a residence on Wise Street, near Dallas Ave. Officers responded to the location and found the vehicle with four occupants sitting inside. Officers got the occupants out of the vehicle, where they were detained for the investigation. Officers learned that the two occupants in the back seat had just been picked up, and they were eventually released without charge. The driver of the vehicle was identified as Foster Payne, 20, and was in possession of a pistol that officers found had been reported stolen. The fourth occupant, the front seat passenger, was identified as Benjamin Howard, 61, and was in possession of two pistols. Payne was charged with Theft of a Motor Vehicle $5,000-25,000, and Possession of a Stolen Firearm. Howard was charged with Possession of a Firearm by a Convicted Felon. 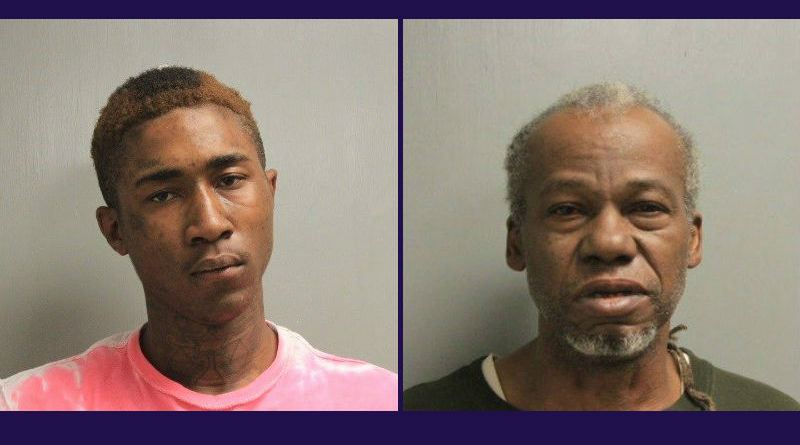 Both were booked into the Rapides Parish Detention Center.